In 1961, Israeli archaeologists discovered over 400 copper objects at Naḥal Mishmar in what was to become known as the Cave of the Treasure. These copper objects were so spectacular that they define an era in Southern Levantine history now known as the Copper Age (4500–3600 BCE). 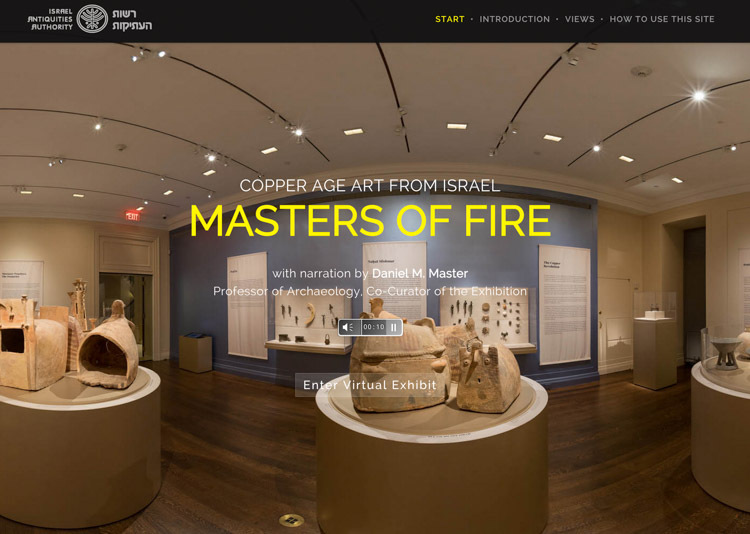 Masters of Fire: Copper Age Art from Israel, on view at ISAW from February 13 through June 8, 2014, explores this “metallurgical revolution” and the accompanying social and cultural changes through a series of unprecedented loans from one of the greatest hoards of antiquity. It also presents the first comprehensive U.S. exhibition of other archaeological discoveries from this period—anthropomorphic and zoomorphic ossuaries, technically elaborate wool and linen textiles, and exceptionally rendered figurines. When viewed together, these objects reveal a dynamic world whose technological advancements revolutionized art and society.